Get your fully customized long sleeve cheer uniform sets Every inch on our uniforms can be customized anyway you want! 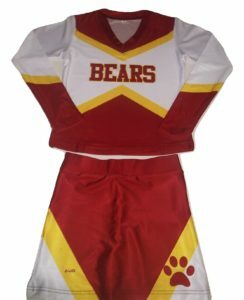 We use high quality 2-way stretch fabric in our cheerleading uniform. Empower your team with our professionally-made, custom sublimated cheerleading uniforms.